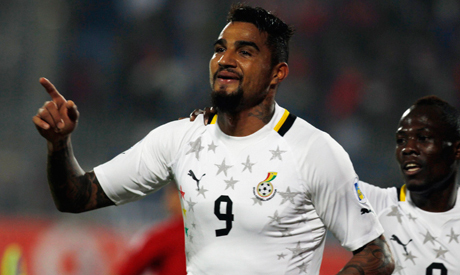 Ghana midfielder Kevin Prince-Boateng was "mildly injured" after being physically attacked on Christmas day in Kaarst, Germany. German reports said the Schalke midfielder was attacked by an "identified man". “On Wednesday, 25.12.2013, at around 12:45, an incident of physical assault took place in Kaarst. A 26-year-old man, a resident of Meerbusch, was physically attacked on the street by a currently unidentified man," German police said. Prince-Boateng has been a key player for Schalke since joining the German side from AC Milan last summer. He scored five goals in 12 Bundesliga appearances with his new club. The 26-year-old was also instrumental in helping Ghana qualify for next year's World Cup finals in Brazil following a 7-3 aggregate victory over Egypt in a qualifying playoff.